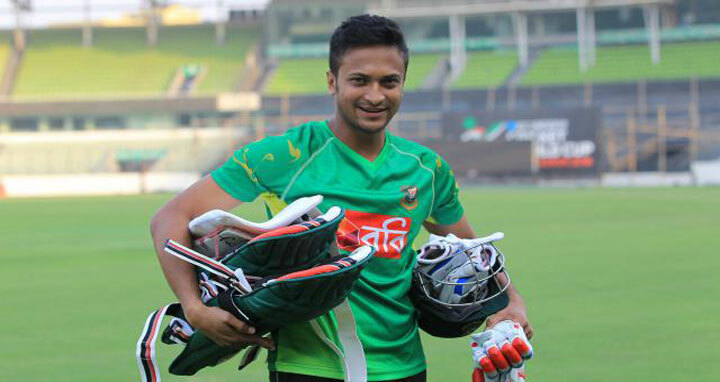 Dhaka, 18 Mar, Abnews: Skipper Shakib Al Hasan said Saturday his side has put the ill-tempered encounter with Sri Lanka behind them and are fully focussed on the tri-series final against India today. Shakib was fined 25 per cent of his match fee by the International Cricket Council for bad behaviour during the knockout game against hosts Sri Lanka on Friday. The Tigers won the match by two wickets with just a ball to spare, but the game was marred by heated exchanges between both sets of players in a dramatic final over at the R Premadasa Stadium in Colombo. "The two cricket boards have (had) good relations for the last 10-15 years. Players have great relations too... We must move forward from this," Shakib told reporters. Bangladesh, 10th in the world T20 rankings -- below Afghanistan -- have never beaten India in the shortest format of the sport. "If you think about pressure, it is pressure. If you don't think about pressure, it is not pressure," said the star allrounder, who returned to lead Bangladesh in the last round-robin game after missing most of the tri-series due to injury. "I am sure everyone is relaxed, and if we can be like this until tomorrow's match, it will be good for us." Bangladesh have never won a T20 tournament since they started playing the format in 2006, but Shakib said he is confident his side will go into the final with a positive mindset.